A charming map of the eastern Hemisphere in 1831, featuring, among other things, Africa's 'Mountains of the Moon,' by G. Boyton. 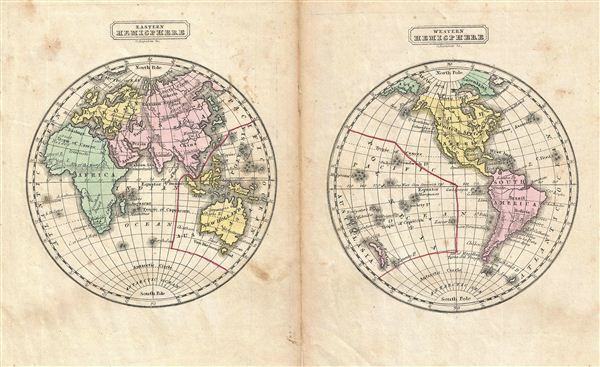 Goodrich, S. G., An Economical Atlas. For the Use of Families and Young Persons, Containing Thirty-Four Maps, 1831. Size indicated represents both pages together. Each page measures 5.5 x 6.